Where the earth plunges into the water, there is the potential for the self to have an unusually intense encounter with the territory. Extreme landscapes are places were we still experience spanning views that allow us to recalibrate our own self and enhance our consciousness. The sea appears as a tuner of our ignorance and limitations, and its sight might expand our abilities to understand the vastness of what is beyond our comprehension. The land's end can momentarily turn off our ego, and our individuality can shift into an imperceptible part of a much bigger wholeness. The spiritual aura that surrounds the extreme lands is formed by their long-lasting relationship with ideas of outward and inward journeys. Historically, many lands' ends were configured as destinations for mystical pilgrimages, and this aspect has been heavily integrated into the travel imaginary associated to them. The concept of imperceptible self leans towards a certain kind of spirituality as well, embedded in what Braidotti calls nomadic post-secular ethics. Nomadic post-secular spirituality though, does not capitalize good deeds as "afterlife insurance" in the way religion does, but it considers a new set of ethics based on no-profit actions and gratuitous kindness. Becoming-imperceptible is the ultimate stage that marks our transition into a larger, "natural" cosmic order. According to Braidotti, this transition leads us to a non-place where the "no longer" and the "not yet" reverse into each other, unfolding out and enfolding-in their respective "outsides". This notion is particularly relevant in reference to the identity of extreme lands, territories of psychological and geographical delimitation, but at the same time, grey areas where dichotomies can surprisingly coexist. The idea of the imperceptible self echoes a new perception of ourselves, and of humanity as a whole, which stems from the representation and perception of the ultimate extreme land: outer space. Witnessing the age of space travel, mythologist Joseph Campbell considered in his last publication, Inner Reaches of Outer Space (1986), the possibilities of a general and radical shift of perception in the world. In his view, images of outer space –and of our own planet observed from space– were soon to prove to humanity that the earthly web of interlacing socioeconomic interdependencies were nothing more than a mere part of one single organism that contained it all. The images of the earth seen from the moon, finally free from the demarcation lines of socio- political division, may instigate the awareness that the unnatural, the artificial and contrived reside in fact within separation. This on-going construction of the visual and conceptual cosmic repertoire, has allowed outer space to become the representational board on which we can trace the lines of our renewed relationship with the extreme and the sublime. As formulated in Kant's Critique of Judgement, the sublime elicits the awareness of our potential to rise above the limitations of finite phenomenal existence and to apprehend a transcendent reality, demonstrating the depth and intensity of the cognitive experience. spanning views– was a self-empowering process, the ideas surrounding universal connectedness lead on the contrary towards an egoless perspective. This separation from the modern philosophical concept has prompted attempts of categorization of new nuances of the sublime, generating in recent years definitions such as “sublime immanence". The term refers to the experience of a subject that dissolves into a greater whole. According to the immanent version of the sublime –in contrast to Kant's transcendent sublime– the subject loses himself or immerses himself in an experience that dissolves the boundaries between self and others. The extreme lands natural surroundings have always been a fundamental component of the imaginary pertaining to places considered as edges of the world. As suggested by Noel B. Salazar in Tourism Imaginaries: Anthropological Approaches (2014), the constructed imaginaries that surround these landscapes can be understood as socially transmitted representational assemblage, and "used as meaning-making and world shaping devices". 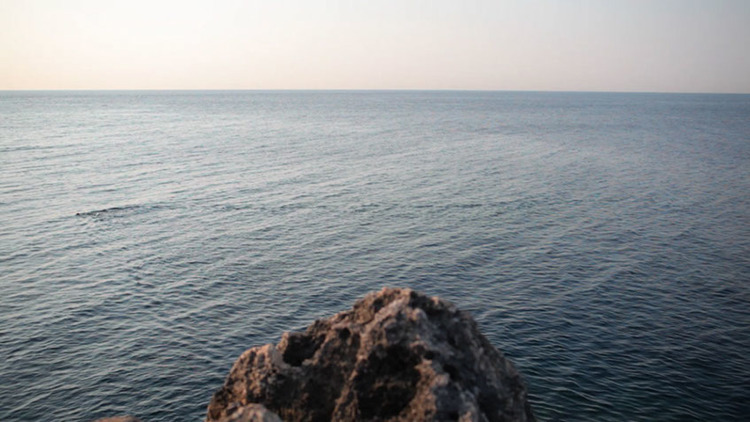 residencies and workshops, inviting international artists to react to the area surrounding the Cape of Leuca, a territory considered as finibus terrae since the Roman Empire. 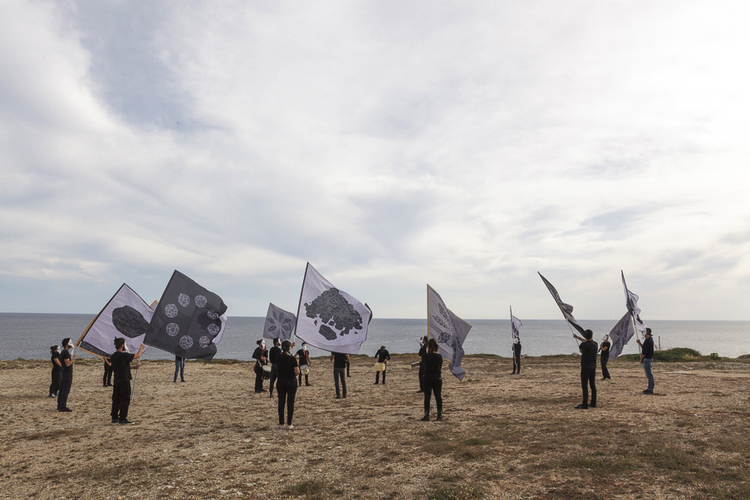 Through the development of site-specific works and the orchestration of research and discussion, the project has pinpointed connections between extreme lands and geography, politics, boundaries, personal inward journeys, and the sublime, while investigating the ways in which the finibus terrae affects us personally, psychologically, and artistically. 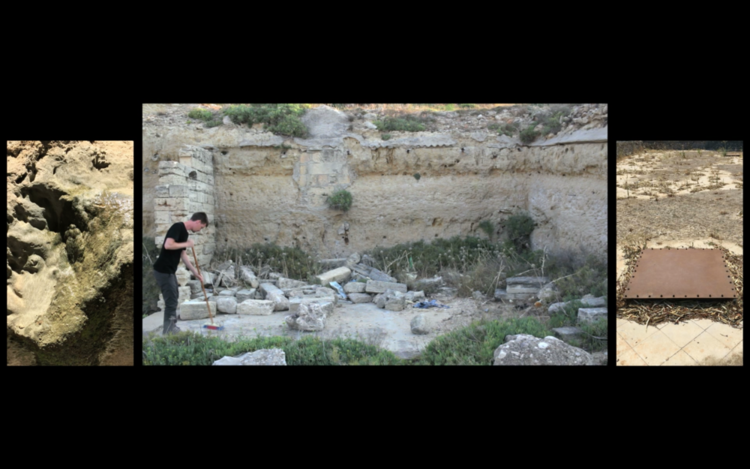 About the contributors: Francesca Girelli and Paolo Mele are writers and curators from the Ramdom Association.